The Alberta government Monday delivered its throne speech for 2019. Unfortunately, the speech seemed utterly disconnected from the fiscal and economic challenges facing Alberta and the corresponding need for an ambitious policy response. The speech’s complacency and absence of vision for positive policy change were remarkably tone deaf. It’s understandable that a sitting government heading into an election wants to put a positive spin on the state of the economy. But in reality, many Albertans are still suffering economically. The evidence of widespread economic pain in Alberta could not be more clear. The provincial unemployment rate remains well above pre-recession levels, as does the number of Albertans receiving employment insurance cheques. Relatedly, the number of long-term unemployed Albertans who wish to work remains high. Given the severity of the recession, one might have hoped for a robust recovery. Instead it has been tepid, and as a result, inflation-adjusted per-person GDP in Alberta remains lower today than five years ago. Alberta has now suffered a completely lost half-decade when it comes to growth in per-person GDP. The government’s failure to acknowledge the seriousness of these economic challenges in its throne speech was, again, remarkable. Similarly worrying was the complacency surrounding the state of provincial finances. 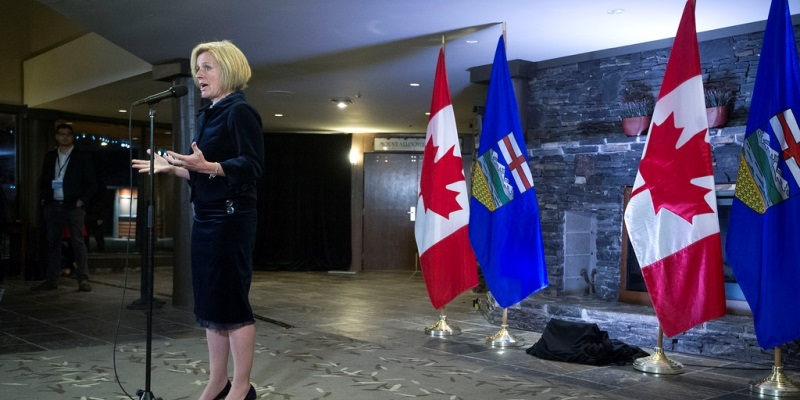 The speech vaguely alluded to the government’s weak and risky “path to balance”—which relies heavily on resource price increases that may or may not occur—without explaining to Albertans why the province’s huge deficit is so worrying and why eliminating it quickly must be a priority. Five years ago, Alberta was in a net financial asset position, meaning its financial assets exceeded its debt. Today, the province has $28 billion in net debt—a number climbing by billions of dollars annually. Alberta’s budget deficit is a threat to the well-being of future Albertans. To see why that’s true, consider the amount of money the province already spends on debt-service payments. In 2007/08, Alberta’s government had to spend just $61 per person on debt interest. This year, that number is estimated to reach $442 per person and rising. In other words, the amount of money Alberta’s government has to spend on debt service—and which is therefore unavailable for other important priorities such as public services and tax relief—is going up quickly every year. Eliminating the deficit is an important part of arresting this trend, and failing to do so quickly will unnecessarily burden future Albertans. To hear the throne speech, however, one would come away with the impression that the deficit was a small problem in Alberta, one the government has well in hand. Again, the gap between rhetoric and reality was stunning. It’s completely understandable for any government to defend its record and positively spin the state of the economy to some extent. But this is not license to disregard the fact that Alberta’s economy and finances are in real trouble and that major change is needed. Albertans should be told the truth—that the economy continues to underperform relative to its potential, that the province’s finances are in deep trouble, and that major policy reform is needed for the benefit of current and future Albertans. Monday’s throne speech fell spectacularly short of meeting this important responsibility.